Cough from lung heat, cough from lung yin deficiency, cough from lung dryness, forceful rapid pulse, high fever, irritability, perspiration, thirst, Live and Kidney yin deficient fire are some of the imbalances satisfied clients have used this product for. 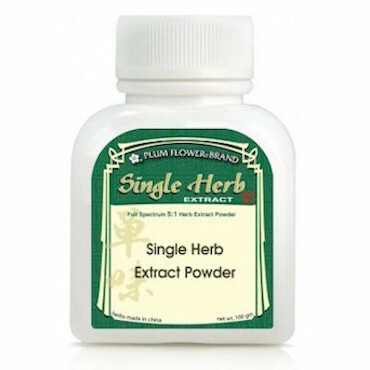 Clears deficiency fire, clears heat and sedates fire, generates fluids and quenches thirst, nourishes yin and moistens dryness, neutralizes unwanted effects of warming herbs. Anemorrhena is the choice herb when body fluids are injured by excess heat manifesting as thirst and excess sweating. Anemorrhena is most useful when there is excess internal heat damaging body fluids. Anemorrhena is the best herb when there is yin deficient fire since it has double direction activity to clear heat and nourish yin at the same time. Damaged fluids from deficiency fire can cause thirst and dryness. Anemorrhena is commonly used for wasting and thirsting syndrome. Warming and/or hot herbs are drying in nature therefore using them over a long period of time or in large amounts may damage yin and body fluids. Zhi Mu is commonly used with such herbs to neutralize their undesired side effects without compromising their effectiveness. Because Zhi Mu is cold in nature it is contraindicated in people who have diarrhea, Spleen or Stomach deficiency or Kidney deficiency. Each package contains 100 grams. Contains non-gmo dextrin.